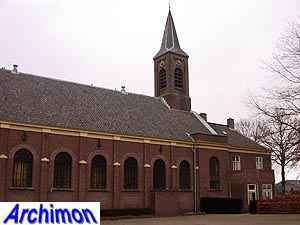 Eemnes is a municipality and a town in the north of Utrecht province. It consists of two parts, Eemnes-Binnen and Eemnes-Buiten, which were seperate entities until 1811. 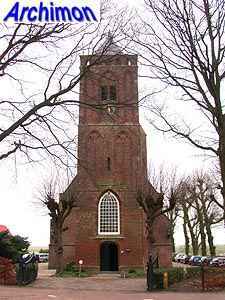 The oldest building in Eemnes is the reformed church of Eemnes-Binnen, or Pieterskerk. It's a one-aisled Gothic church, built after 1439. The reformed church or Nicolaaskerk of Eemnes-Buiten is also a one-aisled church in Gothic style, but much larger than the Pieterskerk. It was built in 1521-1525. The tower is in typical Utrecht Gothic style. 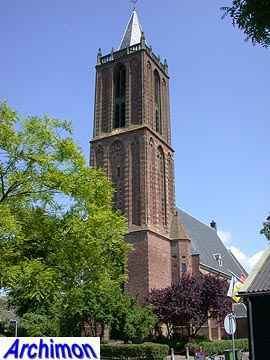 The St. Nicolaas is the catholic church of Eemnes. It was designed in neo-Classical style by architect N.J. Kamperdijk and was built in 1844-1845.